Looking for a lightning-quick way to launch, say, iTunes? Or Microsoft Word? Or any other frequently used program? Sure, you could drag its icon to your Quick Launch toolbar (or the Windows 7 taskbar), but then you still have to reach for the mouse every time you want to run it. 1. 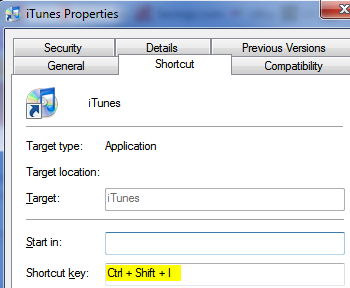 Right-click the desktop icon for the program in question (let's use iTunes in this example), and then choose Properties. Now just press that key combo and presto: the app launches, no mouse required. You can set up as many of these shortcuts you want for as many programs as you want--though unless you have a really good memory, I'd limit it to a handful.